Over 150 wiener dogs mustard the strength to cross the finish line at the 2017 Florida Wiener Dog Derby in Tampa Saturday afternoon. 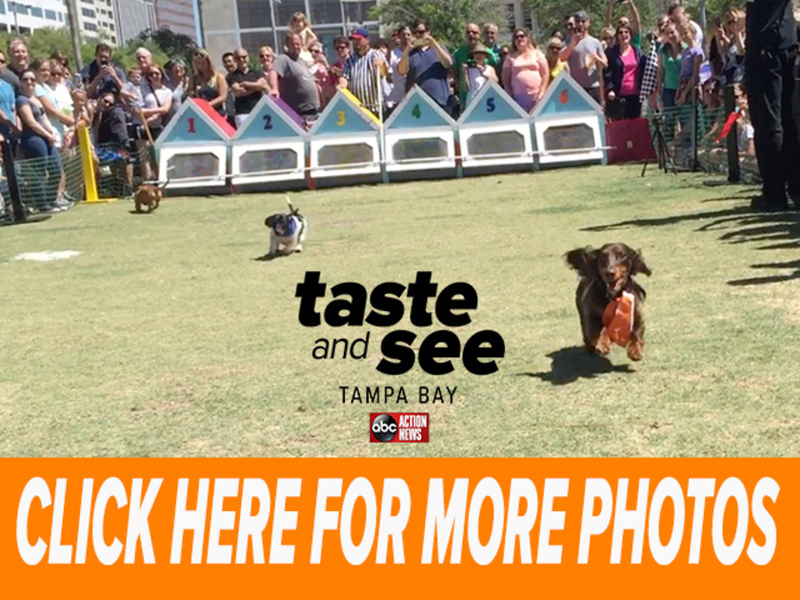 Wiener dogs raced their buns off at Curtis Hixon Park to benefit the Florida Dachshund Rescue , with 100 percent of the proceeds going towards rescue pups of all ages. Click here if you would like to donate. The Florida Wiener Dog Derby grand champion was senior champion, Cocoa. These little hot dogs seemed to relish good competition. Make sure to catch up and watch the video above for more!